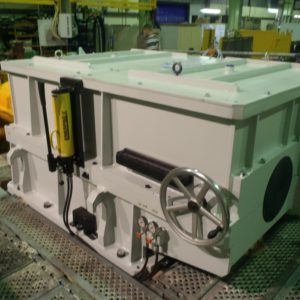 This is our last gearbox for balancing machines just getting out of our workshop. 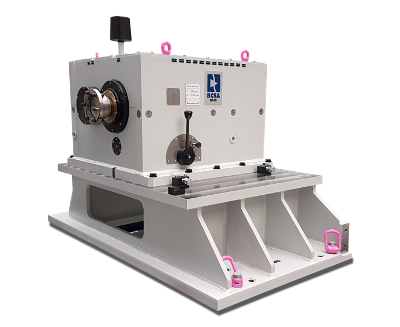 This speed increaser allows a gear shifting between the coaxial shafts. Thus on the second gear we reach a 10/1 ratio between LS and HS shafts. As the previous balancing machine gearboxes, it is designed to work in a vacuum chamber.